I thought moving out to Youngstown, which is pretty much in the middle of no where and there is not much to do, especially when the ground is covered in snow and its minus 20 celcius outside, that I would have lots of time to catch up on things I never get time to do in Haiti. I had a whole list, sort out my photos from the last year, catch up on blog posts which I never got a chance to, work on the Bethesda FB page and much more. I got none of it done. Turns out having three small boys takes all of your time, even if you are at home all day! Hence the lack of updates. first baby calf of the year which Sam was very excited about! Yesterday we received our final document we need to file our adoption application with the court. Today I hope to go to Drumheller and file the application, there are a couple of things I need to do , like serve the minister of child and family services and prepare an affidavit and I am hoping to get them all completed today. After that we wait until the judge makes a decision. He may decide to do a home study and / or have a hearing but we are praying its a simple decision and we don't need to do either of those things. What happens if your eye pops out? What happens if your mouth falls off? What is inside my head? What does my brian look like? One of the things I wanted to share with you was about Dr Rodney's trip to Canada in February. What a month to send a Haitian man to Canada! It was a lot of work organising and planning the trip but I got a lot of help from a couple of OMS people in Alberta. We are so thankful Dr Rodney had a great trip, it was very cold but there were no delays or travel disruptions. The purpose of the trip was to raise more support both financial and prayer and to encourage teams and individuals to come and work alongside our staff. 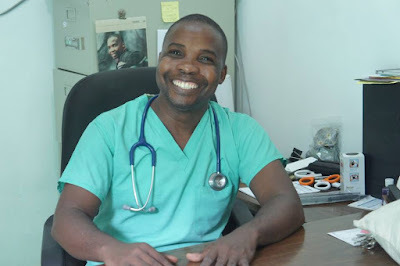 I couldn't believe it when OMS Canada emailed me with the donors so I could write thank you cards, Dr Rodney was able to raise over $80,000 (CA). This is enough money to buy medicine for almost a year! To God be the glory. Bethesda has been struggling financially for quite a few years, around 45% of our monthly income comes from patient fees the rest comes from supporters. Having these funds will really help over the next year. 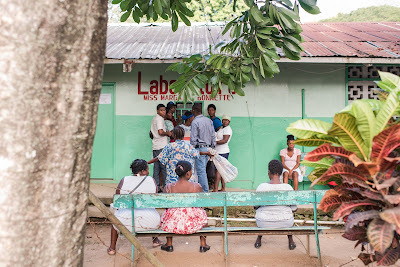 Its been amazing to look back over the last year and see how God has provided the funds for the PT building, the electrical project and the new X ray machine which is almost fully funded and now this trip to Canada. It is clear to me God is blessing Bethesda and has bigger plans to come.